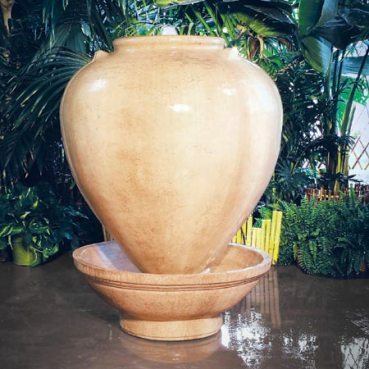 Simple and classic perfect as a patio or garden centerpiece The Heart Fountain creates an eye-catching distraction from the hustle and bustle of the outside world. Water bubbles up from atop large heart-shaped vase flowing down the smooth sides into a wide bowl basin. Made of glass fiber reinforced concrete, it resembles natural stone yet is lighter in weight and incredibly durable. Made to order and ships within 4-6 weeks, arrives securely packed on a pallet and includes assembly instructions. 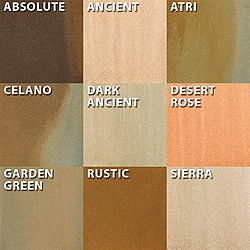 Shown in Desert Rose finish.